This book covers the problems in estimating the cost of capital and rates of returns used in the valuation of businesses and business assets. It begins with basic concepts and proceeds to the more complex procedures commonly found in the marketplace via tables, graphical diagrams, and step-by-step examples. The author points out errors that are common and advice on how to avoid them. It provides solutions that apply to small businesses, midsize companies, and multibillion-dollar corporations. The book above, Cost of Capital , is available on-line at Amazon Books. This book will help you develop an understanding of the advantages and disadvantages of this unique form of ownership. Whether the assignment involves the valuation of a single co-op unit, an existing or proposed project or a failed co-op development, the considerations and methodology will prepare you for the task. In addition to descriptive material on the creation and operation of co-ops, the authors provide useful definitions and specific instructions on performing appraisals. A brief history of co-op ownership gives readers insight into the success and failure of various affordable and luxury co-op projects, financing considerations that have contributed to their development, and the future of co-ops in the US. 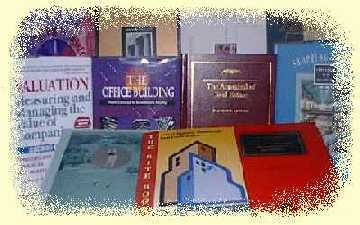 The book above, Cooperative Apartment Appraisal , is available on-line at Amazon Books. It's easy to lose your way wandering through the many sites on the internet. This book is an internet guide for real estate professionals without a roadmap: a directory of hundreds of on-line sites of value to appraisers, brokers, consultants, corporate officers, investors -- anyone involved in real estate. Topical, alphabetically arranged sites are presented with a description of what is available there. Resources include zoning ordinances, professional journals, demographic data, and market data. The directory will save you hours of surfing the Web. The book above, Don't Get Caught in the Web (2nd Ed.) , is available on-line at Amazon Books.